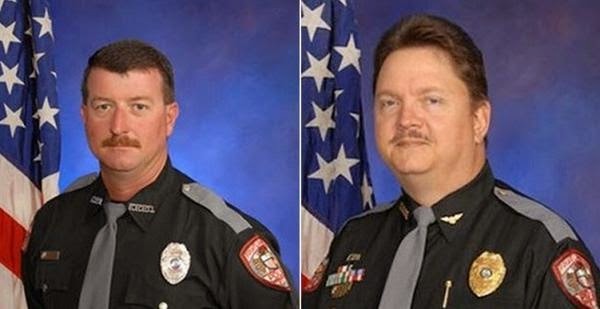 Fruitland Park Deputy Chief David Borst has denied involvement with the notorious white-hooded hate group that emerged after the Civil War and continued to terrorize and murder blacks through the mid-20th century. The 49-year-old Borst, a department veteran of more than 20 years, was also fire chief for the Lake County city of 5,000, about 40 miles northwest of Orlando. He resigned both posts Thursday after being confronted with the FBI report. Officer George Hunnewell, who was demoted last year over performance and attitude complaints, was fired Friday by Chief Terry Isaacs. The state attorney's office is reviewing every arrest made by the officers and giving particular scrutiny to cases involving minorities, Isaacs said.